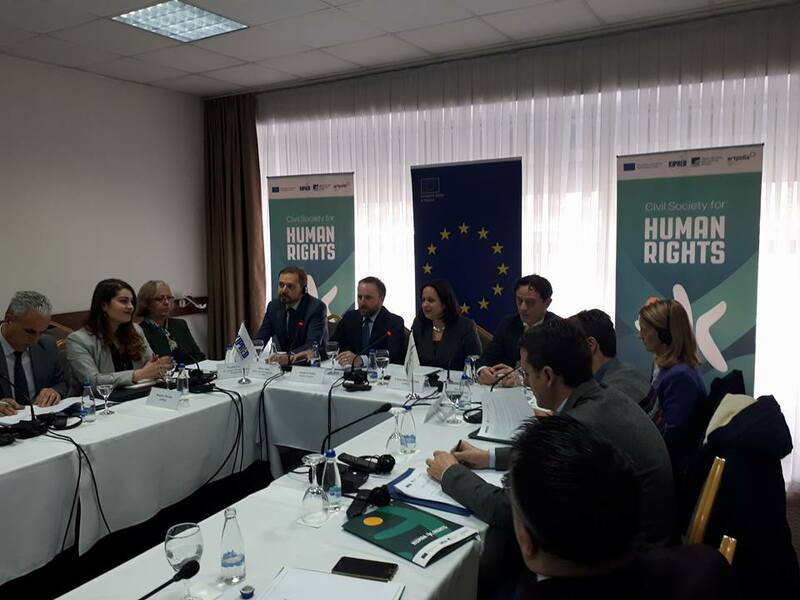 KIPRED is presenting the preliminary findings and recommendations of the report titled “Compensation to Victims of Crime: Response to Domestic Violence and Human Trafficking cases in Kosovo.” This report is the first in-depth analysis of the new victims of crime compensation programme in Kosovo. It provides an analysis of current victim compensation processes and procedures as well as challenges and difficulties encountered by the victim compensation commission so far. The event is being attended by national and international stakeholders including the Ministry of Justice, the Commission for Victim Compensation; The EU Office; and the U.S Embassy among others. This publication is part of the project "Promoting and protecting human rights through an active civil society" which is being jointly implemented by the Kosovo Institute for Policy, Research and Development #KIPRED, the Group for Legal and Political Studies #GLPS, and Art and Community Center#Artpolis. The project is being supported by the European Union office in Kosovo.